ENCINITAS — Stationed at a small folding table on the corner of D Street and Highway 101, longtime North County resident Charles Henry sits collecting signatures for a variety of petitions on Saturday, April 28 at the Encinitas Street Fair. But there is one that draws the most attention — a call to bring a medical cannabis dispensary into Encinitas. A former cannabis user himself, Henry keeps quiet when residents sign the petition, but he admits he is not a supporter. A hot topic among residents, this petition is one of two released in the past couple of weeks that addresses cannabis in Encinitas. 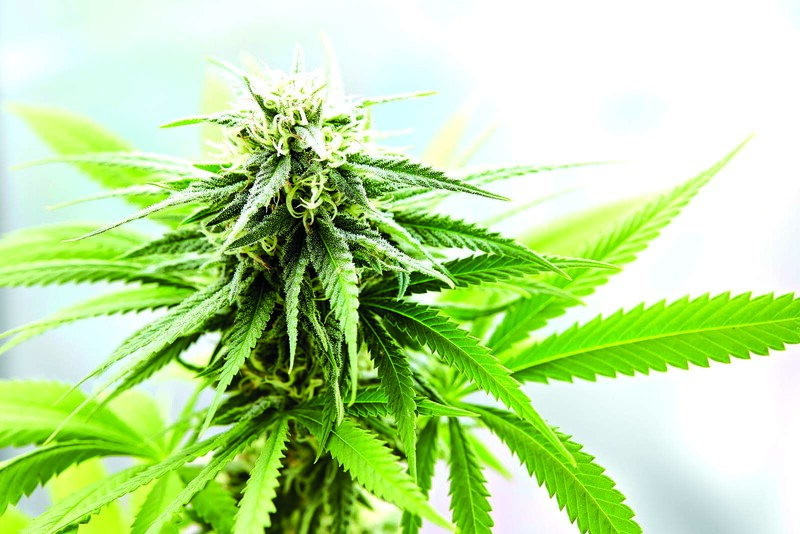 Proposed by Cardiff-by-the-Sea resident Robert Jordan Greenhall on April 18, it calls for a ballot issue that would legalize cannabis retail sale, cultivation, manufacturing and wholesale distribution for medical and recreational purposes. Greenhall’s petition was endorsed by the Association of Cannabis Professionals, an advocacy organization for use of the substance in San Diego County. The second more recent petition, released on April 27 by Encinitas resident Christopher Glascoe, pushes for the adoption of legal medical marijuana dispensaries only, by way of a ballot issue. Glascoe labels himself a medical marijuana advocate. “I’m not necessarily an advocate for recreational, but I do appreciate what recreational marijuana does for the medical community,” Glascoe said. He sees his initiative as a sort of middle ground between the two proposals — it removes the city’s current ban on pot, but it still does not legalize all aspects of cannabis in Encinitas. Glascoe was not the only Encinitas resident who voted to legalize all uses of cannabis in California. In November 2016, 65 percent of voters in Encinitas supported Proposition 64. Despite this, marijuana sale and cultivation is banned within city limits, pushing residents toward Oceanside or La Jolla to purchase. In 2014 — two years before Proposition 64 passed — a ballot initiative tried to change the rules, proposing a medicinal marijuana dispensary in Encinitas. The measure was shut down, with nearly two-thirds of voters opposed. “The question is, now that four years have passed, and the laws have changed, and the world didn’t end, will the voters of Encinitas support an initiative that includes dispensaries?” Tony Kranz, Encinitas City Councilman, said. Glascoe would say the answer is “no” for recreational dispensaries. He said the infrastructure in Encinitas does not lend itself to commercial cultivation. He also added that after hearing testimony from public hearings in October that discussed cannabis cultivation in Encinitas, he found that a majority of people were against it. This is what drove him to create an initiative he felt would best serve the community, by only introducing two medical dispensaries. While Kranz is a supporter of cannabis cultivation in Encinitas, he does not support retail sale, which is a part of the petition put forth by Greenhall. He admits the tax revenue generated from sales could be helpful, but Kranz said he does not believe residents are ready to make dispensaries visible in town. Jared Sclar, an advocate for safe cannabis access in San Diego County and supporter of Greenhall’s initiative, had a different perspective. When it comes to recreational or adult use cannabis, advocates like Sclar see local dispensaries as not only a rich source of tax revenue, but as a safe, lab-tested supply for the consumer. This is why Henry sat in the sun for hours on Sunday collecting signatures even though he opposes cannabis use. He said he wants to know where the supply is coming from and have that regulated. Both petitions must receive signatures from 10 percent of verified Encinitas voters by mid-June to earn a spot on the November ballot. From there, it is up to the voters to decide whether dispensaries will pop up in Encinitas. Make alcohol illegal and start shutting down the Beer Halls and take away their cancer-causing Wine.